Hello! Happy New Years Eve Eve! I hope you are all having a great week! I am a little under the weather, so I am going to keep this short and sweet.. I used the JustRite cling set, CL-02030 Simple Blessings for my friendship card today. 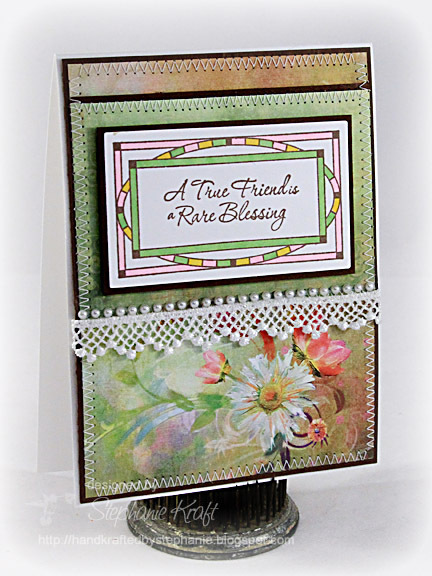 I stamped the lovely frame with Memento Rich Cocoa, colored with a few Copic markers and added the sentiment "A True Friend is a Rare Blessing" to the center. 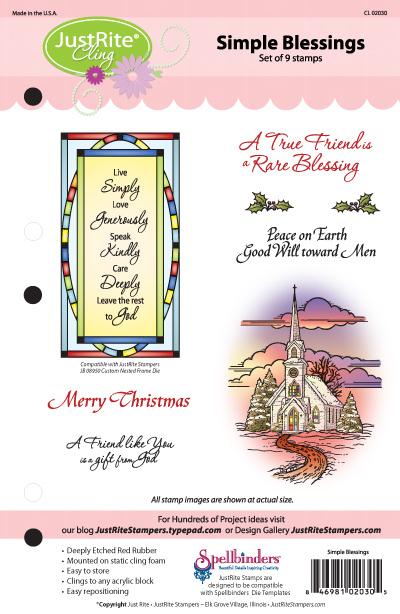 I kept my layout fairly simple, adding some stitching, lace and a line of pearls. Accessories: Lace, Pearls (Zva Creative), Foam tape, Thread, Sewing machine. Beautiful card. I hope you feel better soon! Just a beautiful card! Hope you are feeling better soon!